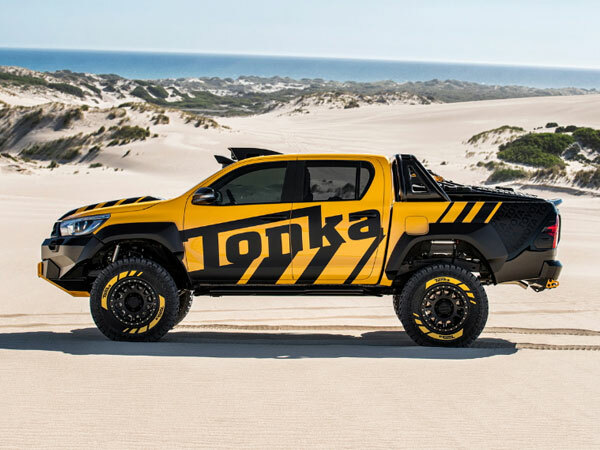 Australian made this toy, just for men based on 2017 Toyota Hilux crew cab truck were called as the Hilux Tonka Concept. 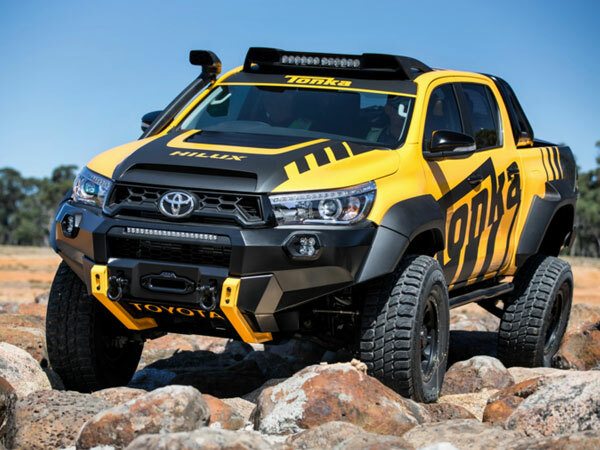 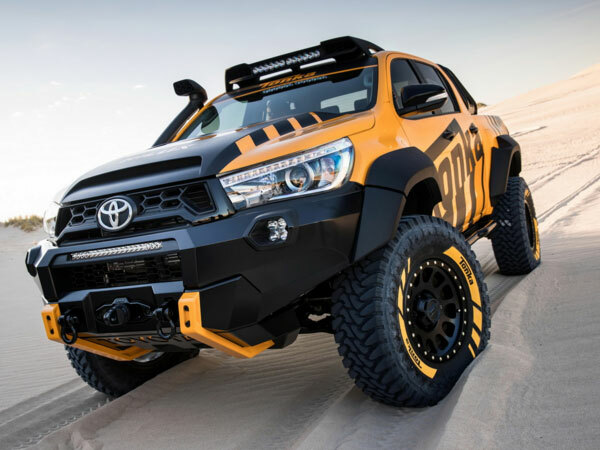 As shown here is one the outcome of the collaboration between Toyota's Australian arm and Tonka. 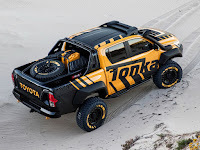 Toyota Hilux crew cab truck is very popular for the Australian user, it is taken as a good background for Toyota markets. Come in a black and yellow color with a lot of feature to rise its capability especially for off-road use also make it special than Toyota Hilux standard. 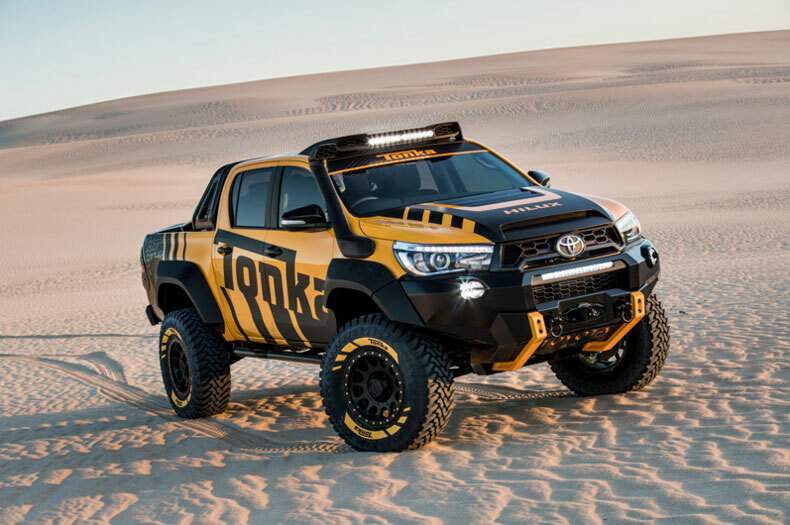 Also the material and parts are selected and use is greats, carbon fiber in bonnet and tailgate, more aggressive shape at the front and rear bumpers including rear spoiler. 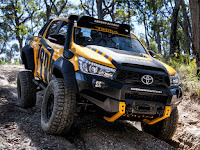 Highly modified and upgrade, it has about 150 mm extra ground clearance with heavy-duty suspension to increase capability, are fitted a 6 mm plate to protects vital components from the bottom also tubular side rails and roll bar to protect the body and chassis including the rider. For the assertion as a real ultimate off-road adventurer vehicle he wearing 35-inch tires and off-road LED light bar on the roof as well as a snorkel as standard equipment. 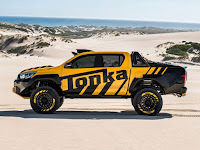 Unclear yet about the machinery side, certainly it will bring a 2.8-liter engine same as the regular Hilux has, with improved the horsepower of course. 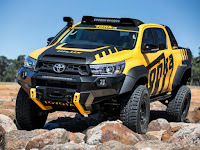 Reportedly, can work in conjunction with either a manual or an automatic gearbox. Interested.... unfortunately is not for sale Toyota has no plans to bring into production line, as it will only be displayed at 4WD shows. 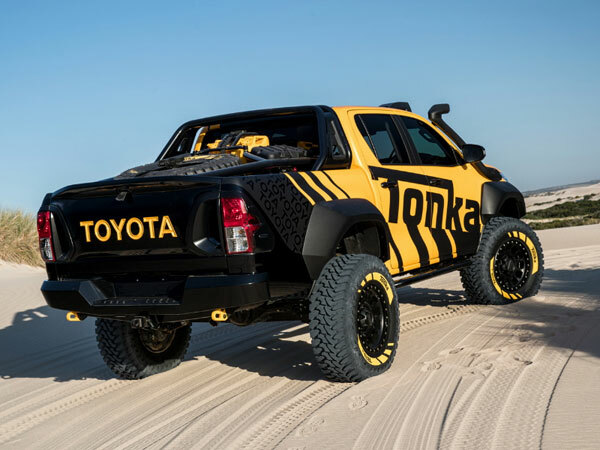 But it looks perfect as reference, to build your toy.